PLUS, MORE GAMING SECRETS: Sony's World War II air combat game? — Monolith and WB working on a Lord of the Rings game that'll be cross-generation? — Gas Powered Games' canceled project: Project Spark? In late November 2011, the same month Human Head Studios reportedly stopped working on Prey 2, Paul MacArthur, president and owner of Human Head, incorporated three companies with the same address as Human Head — Large Shaggy Dog, LLC, Bifrost Games, LLC, and Nine Realms, Inc. My guess is that these firms were established so that Human Head could work on projects and continue operating during its quarrel with Bethesda without violating any possible contractual clauses prohibiting non-Prey work or exposing themselves to other legal risk. There is no public evidence of any activities through the two LLCs, and I might posit they were intended as some sort of holding companies. However, quite curiously, Nine Realms pops up a handful of places on the internet. In their portfolio, a former Human Head animator mentions Nine Realms worked on a prototype for a Teenage Mutant Ninja Turtles mobile game for Nickelodeon, as well as an unnamed project for Nintendo. Late last year, Human Head/Nine Realms was hiring part-time Japanese translators to translate "project documentation, written correspondence, and live [conversation]," which I could imagine may very well have been in relation to the Nintendo project. Around the same time the Japanese translator posting went up, Human Head began its first major hiring push since stopping Prey 2's development, seeking persons to work on an open-world mystery genre game. It's unknown if this was the same project as what Nine Realms was working on, but it appears this new open-world title was short-lived: one former Human Head designer says "an open-world project" was "canceled shortly before [he] started [in January 2013]," and he spent several months helping the studio craft game pitches. Although Human Head's publishing situation is seemingly fluid, the studio has quietly contributed to a couple of AAA titles, including Defiance and BioShock Infinite. (Tim Gerritsen, a former CEO of Human Head, actually rejoined Human Head as a business development director following his departure from BioShock Infinite developer Irrational last August.) Additionally, a Human Head animator suggests on his CV that the studio is lending a hand to the soon-to-be-released tactical shooter The Bureau: XCOM Declassified. 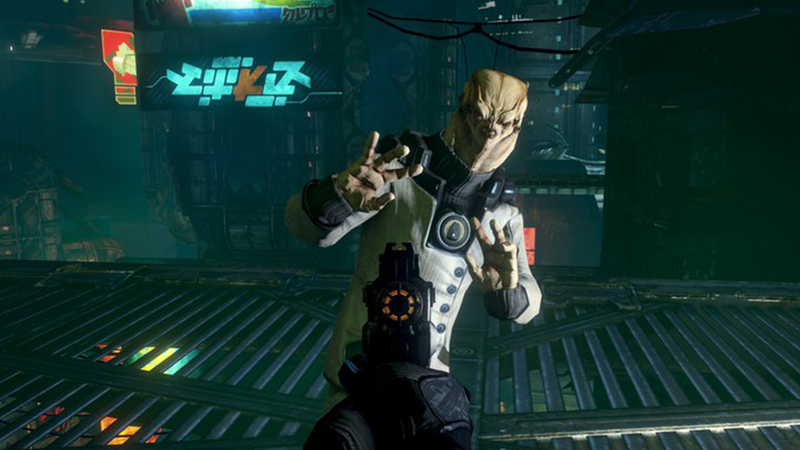 As to Human Head's former project Prey 2: recent rumblings indicated Bethesda subsidiary Arkane's Austin studio recently took over the project, and would be starting from scratch targeting a 2016 release. At QuakeCon, Bethesda's PR and marketing VP Pete Hines denied Arkane took over Prey 2's development, but Prey fans noted that Arkane's leadership had a very vague non-response when asked about the project at the convention. According to the resumes of several former Gas Powered Games staffers, the studio had contributed to Microsoft's recently announced user-generated content-oriented multiplatform title Project Spark. One former designer says the firm began working on Project Spark in late 2011, and seemingly ended its involvement in the project last fall. Presumably Project Spark was one of the cancelled projects Gas Powered Games CEO Chris Taylor alluded to when the company was in the throes of its abandoned Kickstarter project Wildman, perhaps the title that was apparently "a month away from beta." Gas Powered Games was, of course, also working with Microsoft on Age of Empires Online prior to the Redmond giant's decision earlier this year to end further development on the free-to-play title. On his CV, a Seattle-based artist says the worked on storyboards for a AAA Lord of the Rings title at Monolith/WB Seattle last December and January following the release of Monolith's download-only LOTR MOBA Guardians of Middle-Earth. Given Monolith's recent emphasis on licensed games such as Guardians and Gotham City Impostors, Monolith handling another licensed title is hardly a surprise. What might be a bit of surprise, however, is Monolith seemingly venturing back into AAA territory following layoffs and the studio's recent duo of smaller download-only titles. In early May, job postings revealed that the Seattle area studio is working on a cross-generation, quest-based open-world AAA action-adventure game. Tolkien rights holders The Saul Zaentz Company recently registered a number of game-related trademarks and domains for "Middle-Earth: Shadow of Mordor," and those could very well fit Monolith's project. Monolith's title is likely still quite a bit away, but The Saul Zaentz Company registered trademarks for War in the North — the last AAA LOTR title — two years in advance of the game's release. Last Friday, Sony Computer Entertainment America registered the domain "helldiversgame.com." The Helldiver was a bomber aircraft employed by the US Navy during World War II, so perhaps "Helldivers" or "Hell Divers" could be an air combat game. Or if Sony wants to be incredibly literal, the title could be a reference to diving into the underworld and demon stuff. SCEA's domain registrations almost always pertain to projects in development at one of their North American studios or localizations; SCEE handles domain registrations of European-developed titles. None of Sony's Japanese titles seem particularly World War II-related or hellish, but SCEA does have a handful of studios with unannounced titles — Sony Bend, Naughty Dog, Santa Monica Studio, Zindagi, to name a few. World War II bomber planes could be also fodder for the historical-themed Uncharted series. The domain was registered the same day Cory Barlog announced his return to Santa Monica Studio, so there is even a chance it could be related to that project. Or perhaps a free-to-play World War II air combat game. superannuation is a self-described "internet extraordinaire" residing somewhere in the Pacific Time Zone. He tweets, and can be reached at heyheymayday AT gmail DOT com. Everything in his bi-weeklyKotaku columns is lying in plain sight online and linked for you to investigate yourself.